Saturday, March 3rd from 1-5 pm. From the Texas Hill Country to the mountains of Colorado, these mid-century artists have mastered the American landscape. 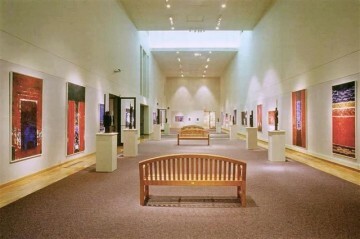 Enjoy light hors d’oeuvres and wine while admiring classic paintings by Robert Wood, A.D. Greer, W.A. Slaughter, & Dalhart Windberg. 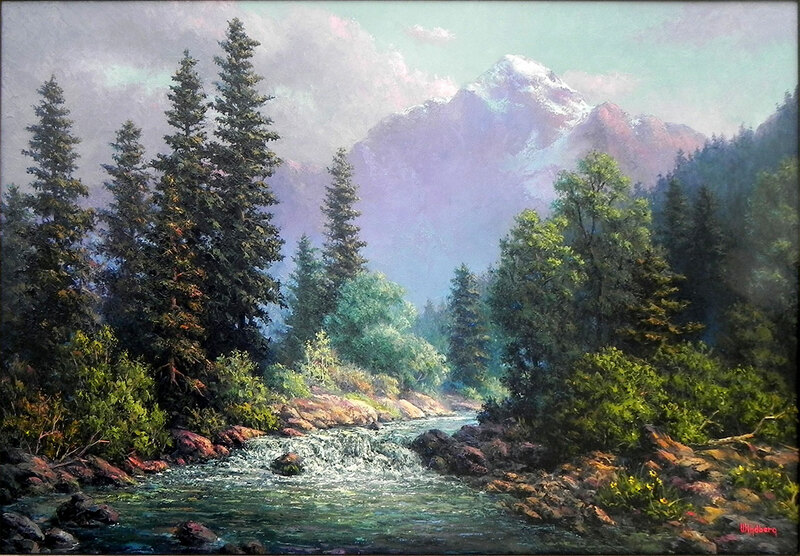 A.D. Greer (1904-1998) knew how to handle light, color and composition with a luminous quality and realistic style and has remained one of the best landscape painters ever seen. Robert Wood (1889-1979) was the most prolific painter of his time because of his national reputation of strong color and technical foundation. 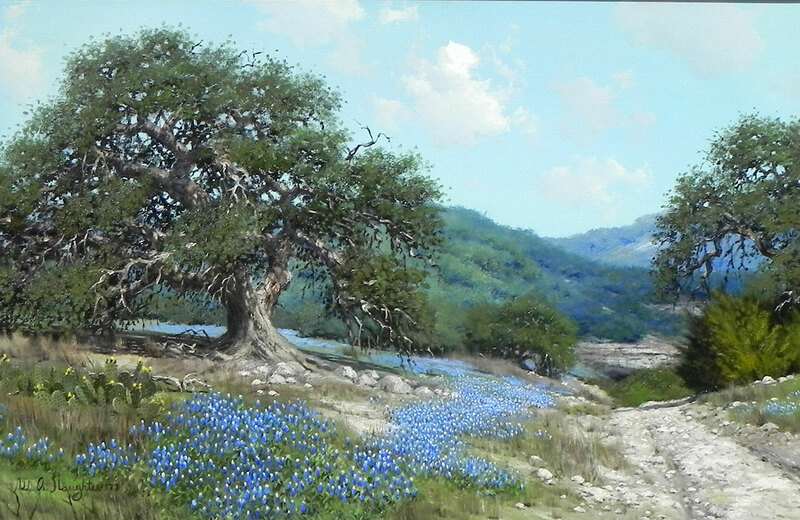 Dalhart Windberg (born 1933) is a master of the romantic bluebonnet. 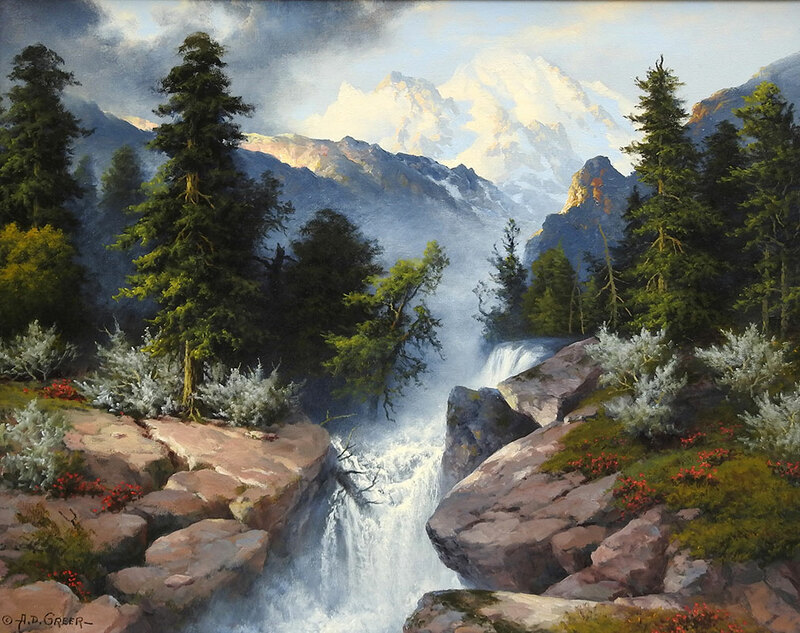 his paintings have a universal appeal that evoke feelings of peace and a vision of natural harmony. W.A. 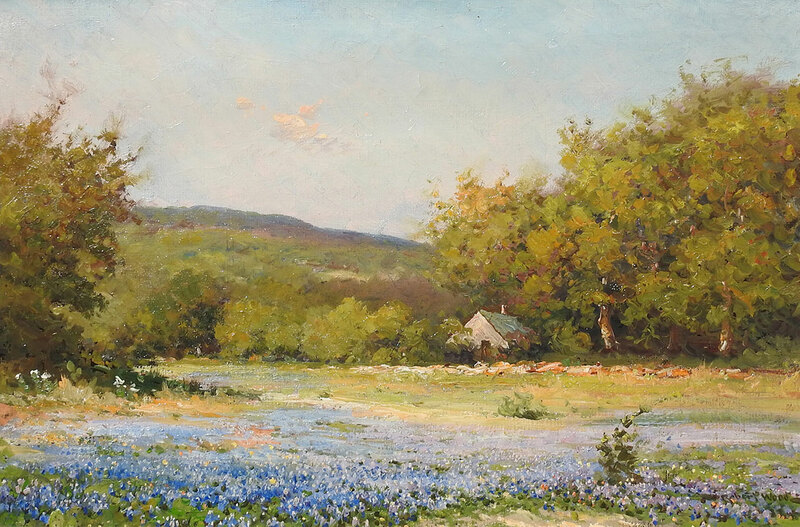 Slaughter (1923-2003) is best known for this glorious Texas landscapes blanketed in bluebonnets with magnificent Texas live oaks. He is considered a bluebonnet master.